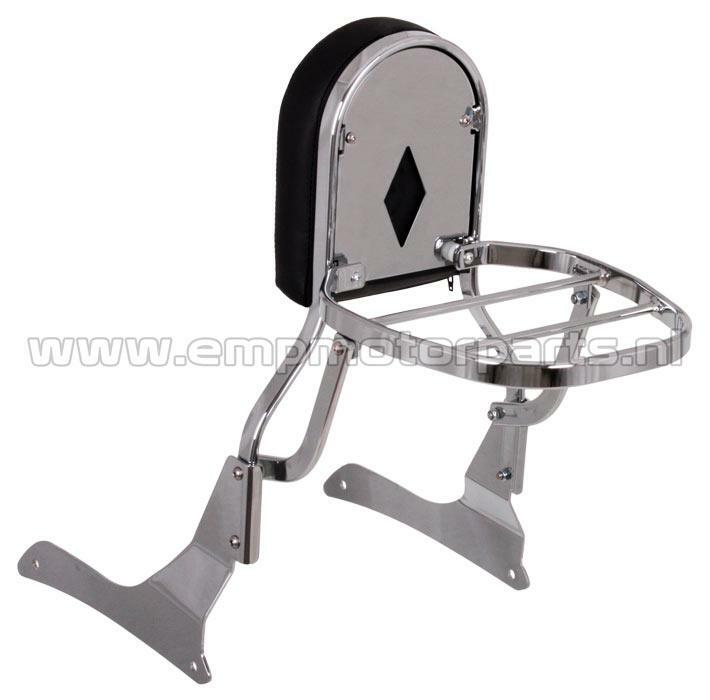 This attractive universal luggage carrier fits only Sissy bar de luxe EMP models motorcycles where the license plate is high mounted. It increases the luggage storage space of your motorcycle. 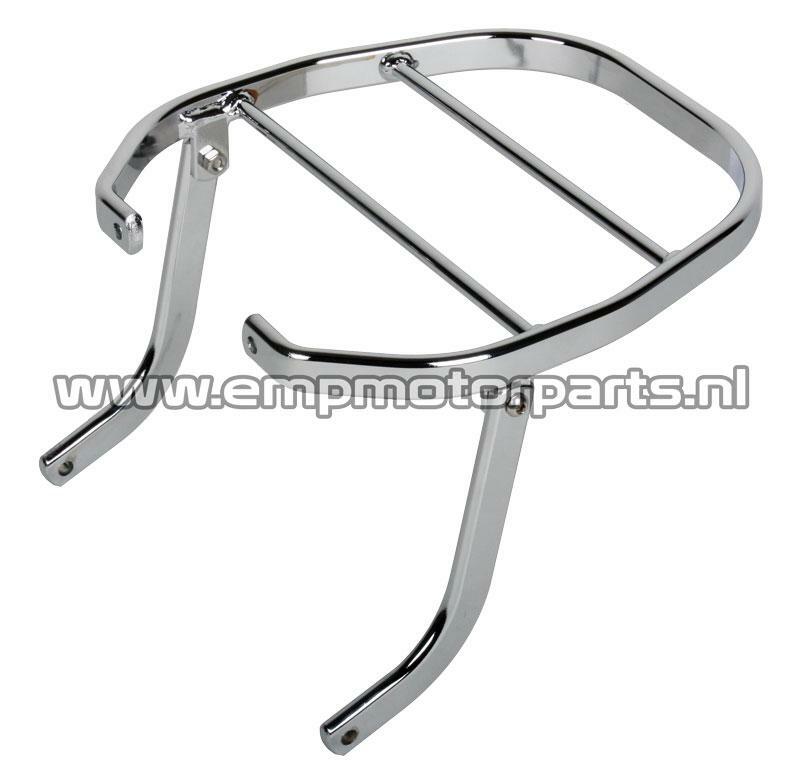 With the help of the construction drawing the luggage carrier can be mounted within minutes. - Attention!!! This concerns the luggage carrier mounted on the back of the Sissy bar de Luxe. - Can also be used as a universal luggage rack. - Demension (L X B): 250 x 240 mm.